Sharing is one of the most powerful acts which has the ability to accelerate and decelerate the advancement of any society. Sharing involves the granting of permission by one party who is the owner or custodian of a resource to another party to use the resource. The resource can be a material, an intellectual property or for that matter any tangible or intangible item which may or may not be of some value to the party with whom it is being shared. Sharing, if practiced in a positive manner, can definitely add value to the world. In fact, it is the key for ensuring the existence and progress of human civilization. Sharing can be voluntary or involuntary. It can be for free or for direct or indirect benefits. Sharing happens around us in our daily life in various forms. It happens when the oxygen in our blood is shared by the organs in our body. It happens when our teachers teach us by sharing their knowledge. It happens when the revenue of a country is diverted towards projects benefitting the community. These are few examples positive effects of sharing which are constructive in nature. Sharing can be very dangerous and destructive if it is practiced for wrong and negative reasons. The transfer of knowledge of advanced technology for illegal and unethical causes such as development of nuclear armament can be seen as an example of destructive form of sharing. 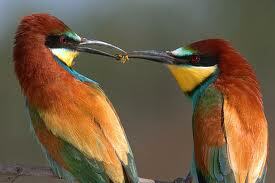 The act of sharing is very important for the establishment of a just society. It can be seen that sharing of wealth and kindness has been advocated even in religious teachings. The practice of Zakat among Muslims is an example sharing in which the wealth is redistributed in the society to ensure the upliftment of the poor. One of the most effective kinds of sharing is the sharing of Knowledge, information and experiences. Sharing of knowledge and information in a team can foster the team spirit and help the team to achieve more productive results. It also propels the advancement of society in all dimensions. However care should be exercised to ensure that the knowledge being shared is used ethically for the righteous and fair purposes. By sharing our experiences, we can help each other to succeed in our endeavors and also ensure that necessary precautions can be taken in advance to avoid making similar mistakes. The power of sharing is unlimited and one should use it sensibly and for a positive cause. Sharing is an important value which needs to be inculcated in an individual during the childhood days. Sharing makes a person more acceptable to the society and breeds social harmony. Our education system should be modeled to develop and promote such values in the society. It should teach the importance of sharing along with other values which will make us better human beings and thereby the world a better place to live.